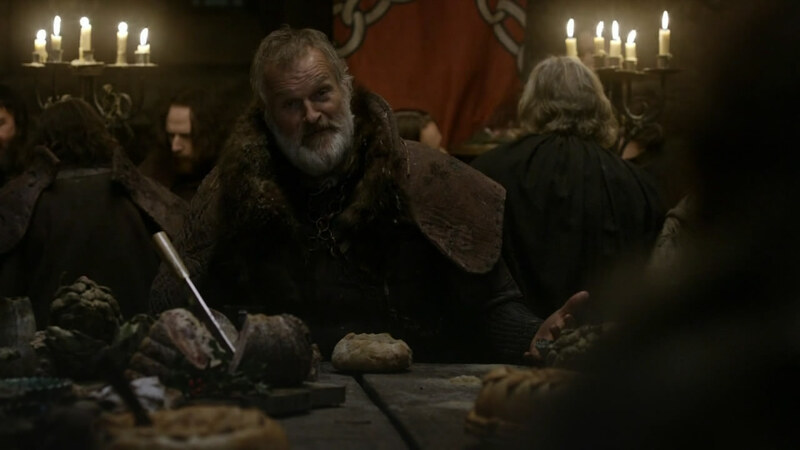 The Lord of Last Hearth, Jon Umber—known as the Greatjon—is a fierce, loud warrior, full of himself and his opinions, about as subtle as a hammer to the forehead. He’s about 7’ tall in the novels, and though he’s not quite so big here, Clive Mantle is a good 6’6” and very impressive. We only wish they’d given him the ugly greatsword the Greatjon’s supposed to carry.